Dr Ayer qualified from the University of Southampton in 2001. After completion of basic surgical training in the Wessex region and obtaining the MRCS, he was accepted on to the Wessex Radiology Training Scheme in 2006. 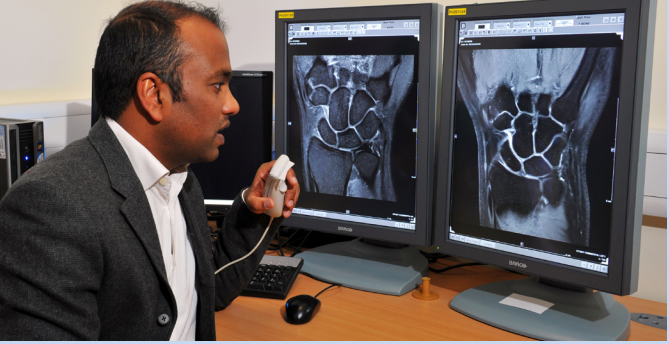 After undertaking a fellowship in Musculoskeletal radiology in the Frenchay and Southmead hospitals in Bristol, he was appointed as a Consultant Radiologist in Poole NHS Foundation Trust in 2012. Dr Ayer is joint author of the book 'Frameworks for Radiology reporting' (Hodder Publishing 2009) and has published several papers in peer reviewed journals. He has spoken at a number of conferences at both a local and national level. He is married with two young children. In his spare time he enjoys cycling, travel, gardening and photography.